I think purses (and totes! And clutches!) are my favorite thing to sew. Maybe because I have a wandering eye for purses (even when I find one that I love, I’m always still on the lookout for something new and fabulous). But also because of sheer numbers. Think of how much you use your purse compared to most of the other things in your closet. And leather is, hands down, my favorite sewing medium right now. No edges to finish. Such impact. 45 minutes to a completely finished (so gorgeous) clutch. 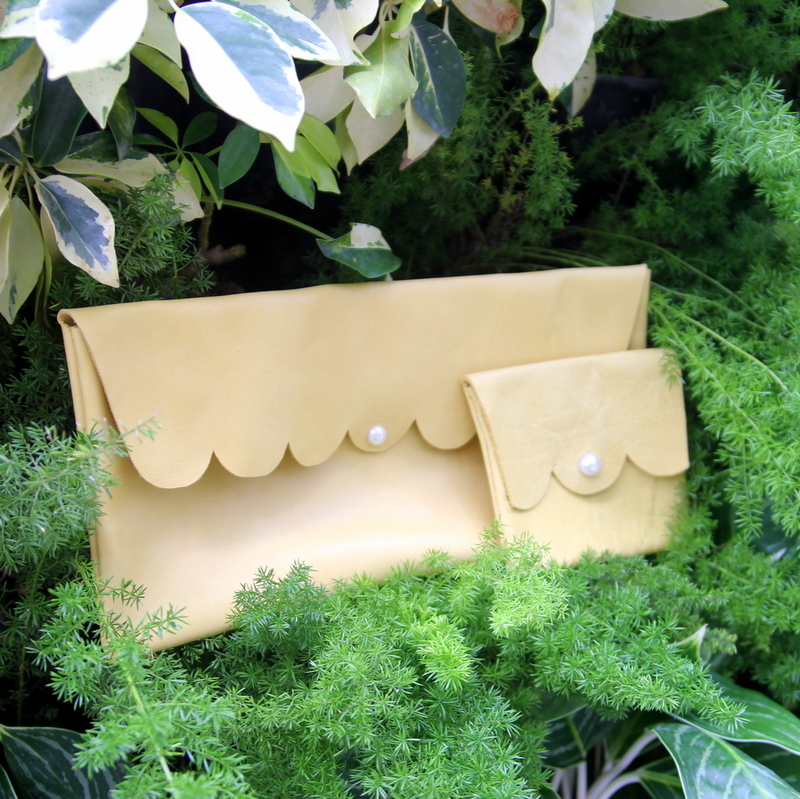 After making this scalloped yellow clutch for myself, Piper thought she might lay claim to it. 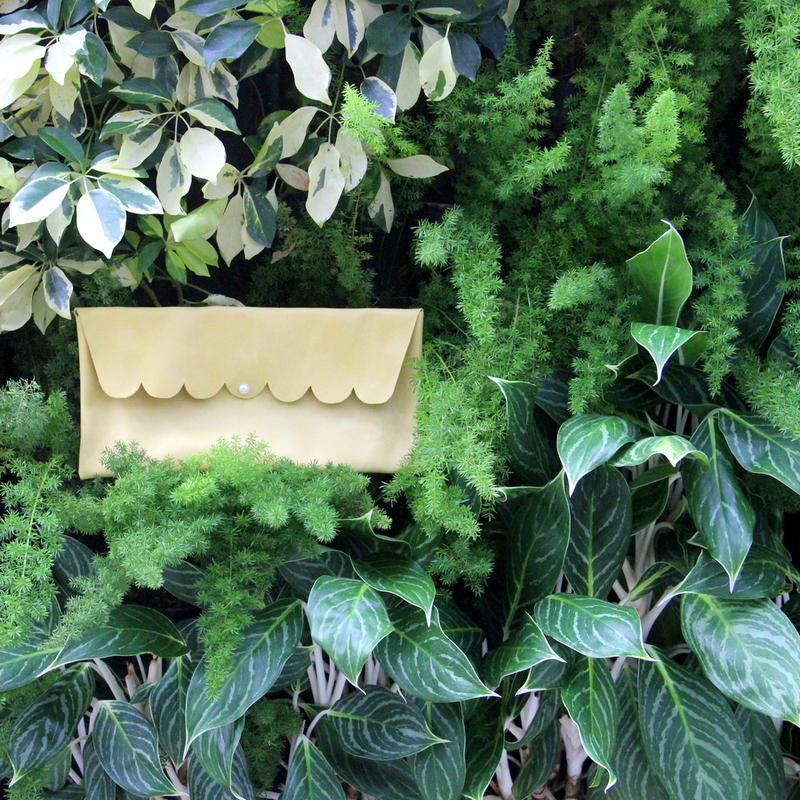 However, I’d grown pretty attached already (and it’s already been promised to the lucky winner of the Favorite Things Giveaway), so I spent an extra half hour and made her a little mini scalloped clutch of her own. Guys, I should do this more often. She is so cute about it. In fact, the day after I finished her matching mini-clutch, she chose a navy blue and white striped dress for herself and laid my navy blue and white striped dress out for me. Girls with matching purses should wear matching everything else as well, apparently. So funny. 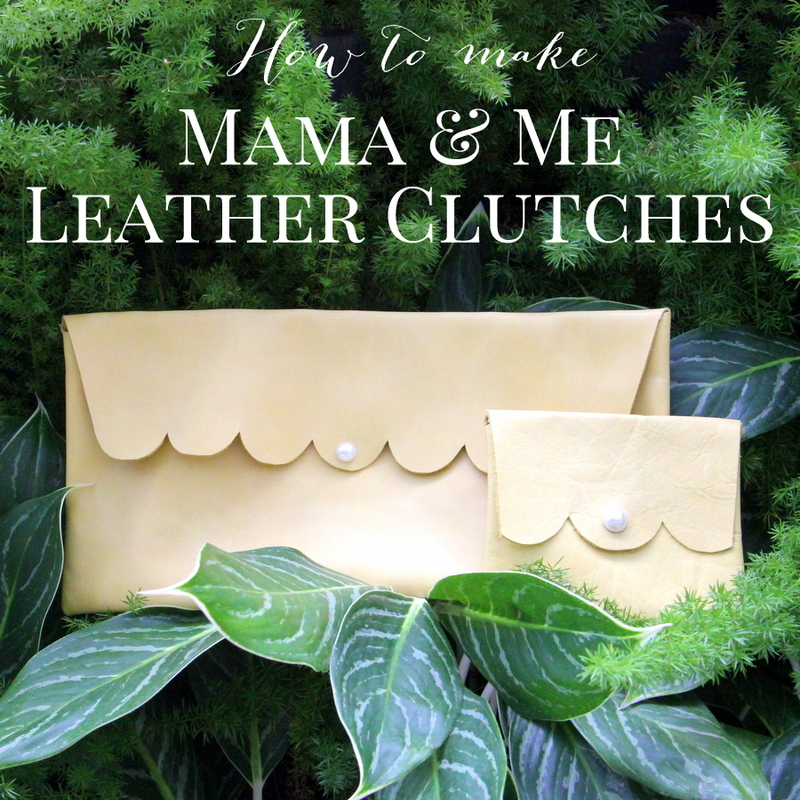 Anyhow, to make one of these scalloped clutches, cut a 13” wide by 16” tall rectangle of leather (mine is from the Leather Hide Store– enter the giveaway below to win some!). Add scallops to the top edge by tracing half of a circle over and over (start in the center and work towards the edges). Cut along scalloped edge. With the right sides of the leather facing each other, fold the bottom edge six inches up and secure in place with clips. Sew each side. 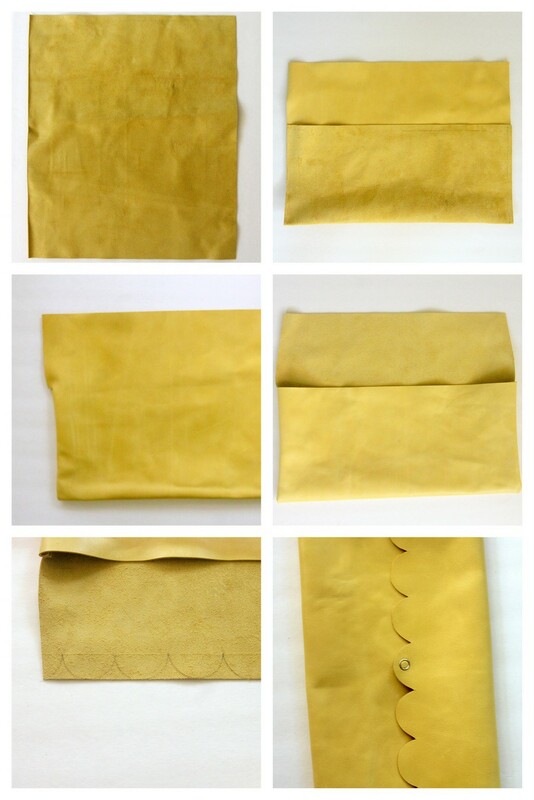 There are some great tips for sewing leather here. Trim the sides of the top flap to match the sewn edges, cutting at an angle to match the edge of a full scallop. Add a snap closure. With Jewel-It adhesive, add a pearl decoration on top of the snap. 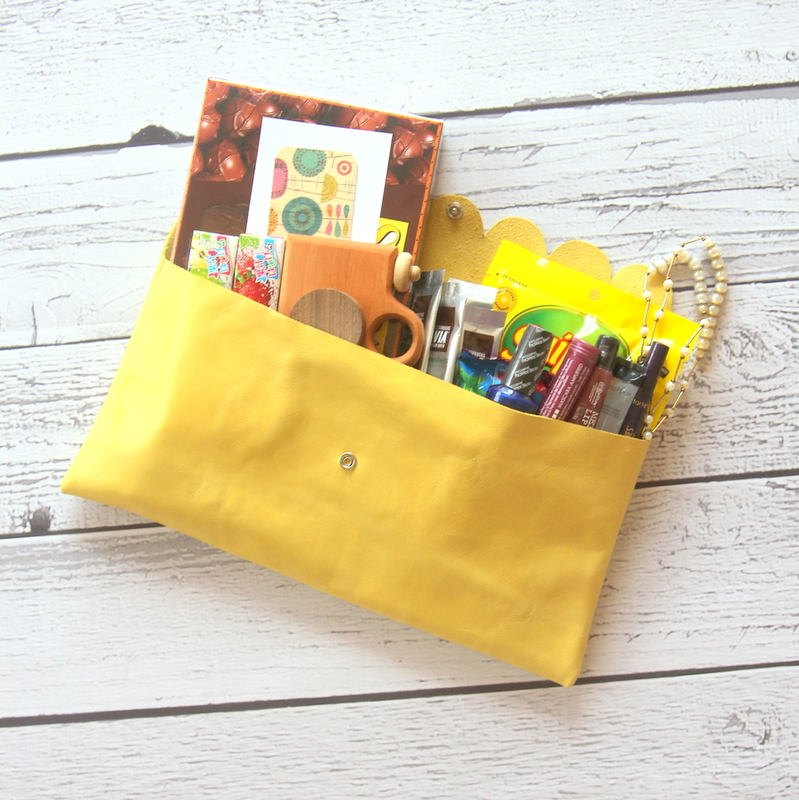 To make a mini me purse, follow the same process with a 6” x 12” rectangle of fabric. As a bonus, the larger one can fit an iPad or Kindle (or, alternately, a whole pile of Favorite Things make up and other swag). Perfection. And since these are such a fast sew, you could even whip up a pile as Christmas gifts (in fact, Miss Kristy and Miss Helene just may be receiving clutches from Piper and Burke this year). If you’re requiring the leather for this gift making venture, the Leather Hide Store has you covered. Before you pop over and buy some, enter the leather giveaway below and see if you can win it instead! 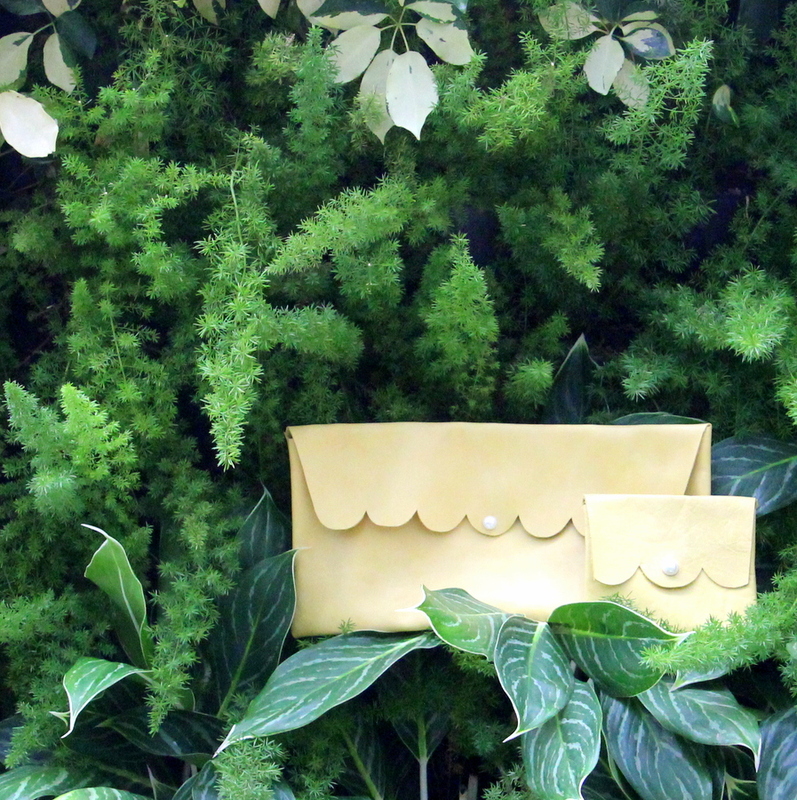 *The leather for these clutches was provided by the Leather Hide Store. 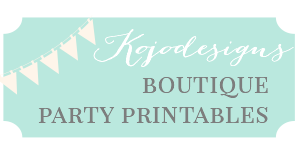 However, after working with their leather for several different projects now, I can unequivocally recommend them (I will continue to shop there as I need leather for various projects). What a great Christmas gift project! I would pick either the basic black cat leather for small projects, or the indigo to cover a wingback chair I inherited! I had no idea leather came in so many great colors. I think I need to make some pillow covers, especially in the burgundy wine cellar color for my new room. Awesome! Paige, I have been pinning leather pillow covers like crazy! Aren’t they great! I have been on the hunt for leather!! This would be great I have been wanting to try a project with leather. Love the Chicago camel, but who am I kidding, I would take any of them! Oh my gosh I want everything on that site. Maybe I would do something crazy and use the Black Croc for something! I think I can hear the Canyon Gold Miner calling to me! The distressed Montana leather is simply gorgeous!! 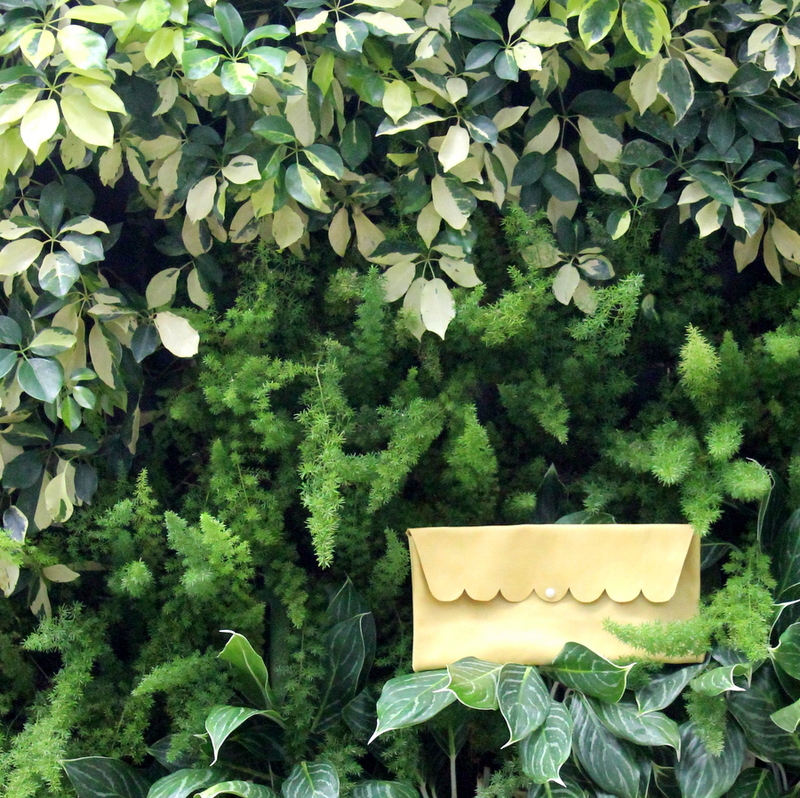 Can you imagine a knapsack or paper bag style shopping bag made out of it?!!! gorgeous! and I love your clutch and mini clutch! Talk about adorable!! I would probably choose black leather. The embossed leathers are also a possibility. Oooh – Hollywood Red is calling my name. I love a red bag year round! I’d pick the Black Croc. Lovely store. oh boy, I love that Western Floral! just beautiful. and i love your remnant options, such a great way to try out a variety of colors! 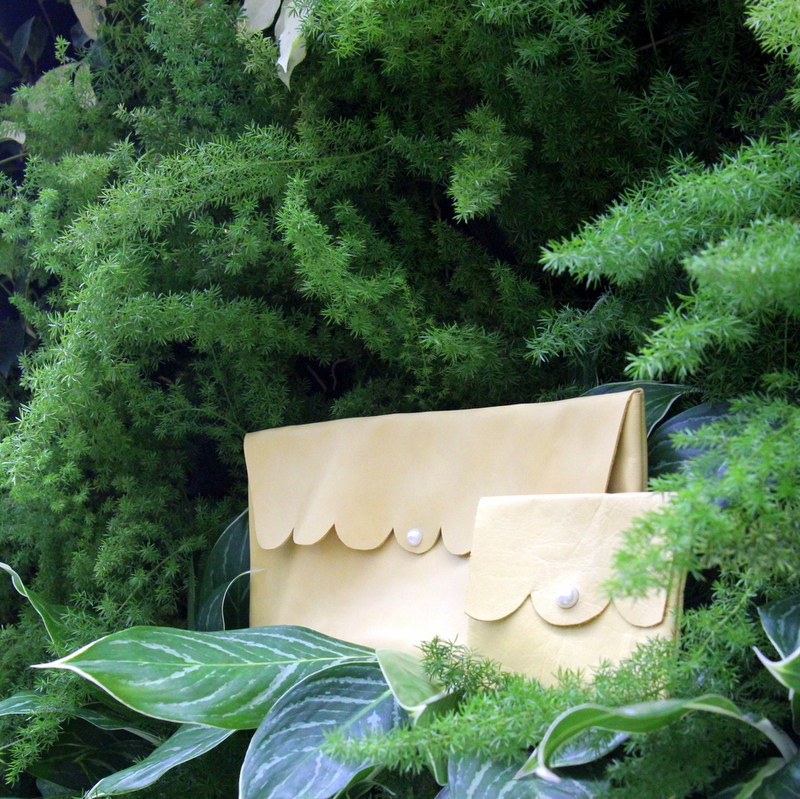 I love the Portland Moss Urban Luxury leather. But all of them are so lovely . The roasted red pepper colored leather.